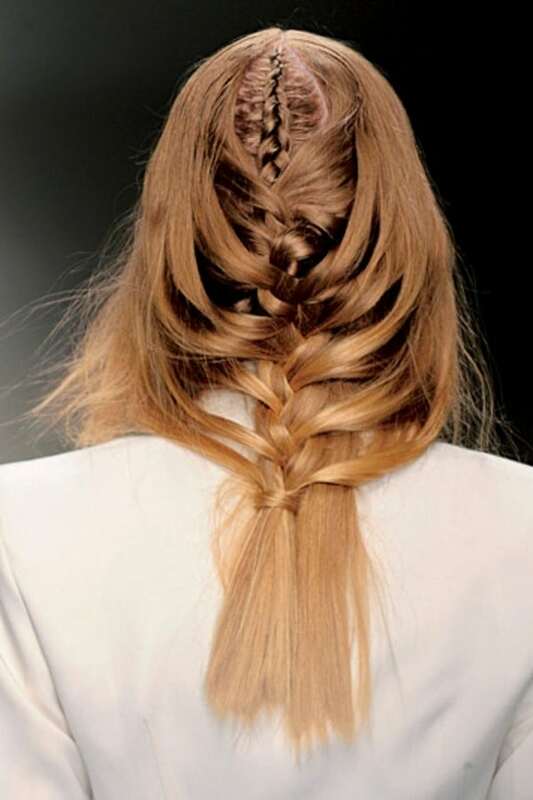 To braid your hair, get a section of your hair and divide it into three equal parts. Weave them together in such a way that they will overlap from each another. Do this until you will reach the tip of the hair. You can secure the ends with an elastic band and other types of closure. Summer is all about having fun in the sun. However, due to the heat of the sun, you’ll end up having damp and limp hair. 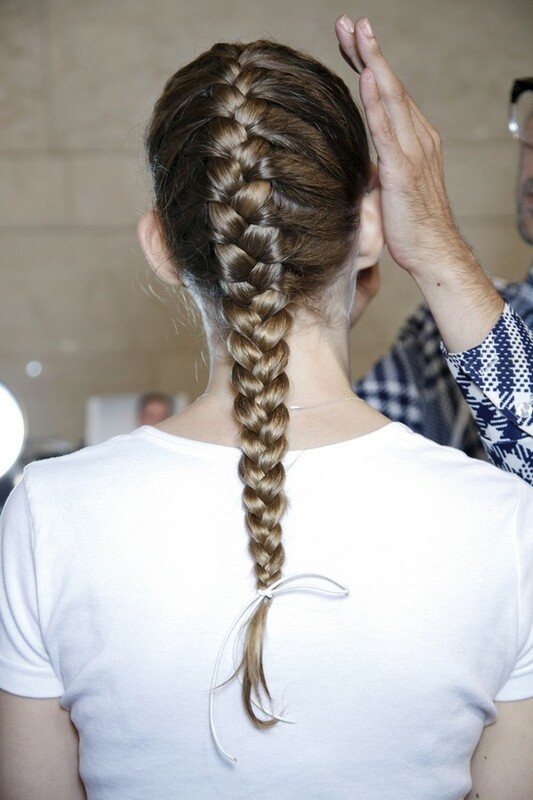 But don’t worry since we’ll give you the best braid styles for the summer season. Most of all, they are very easy to replicate. All you need are some elastics, a few hairpins, and some hair essentials. 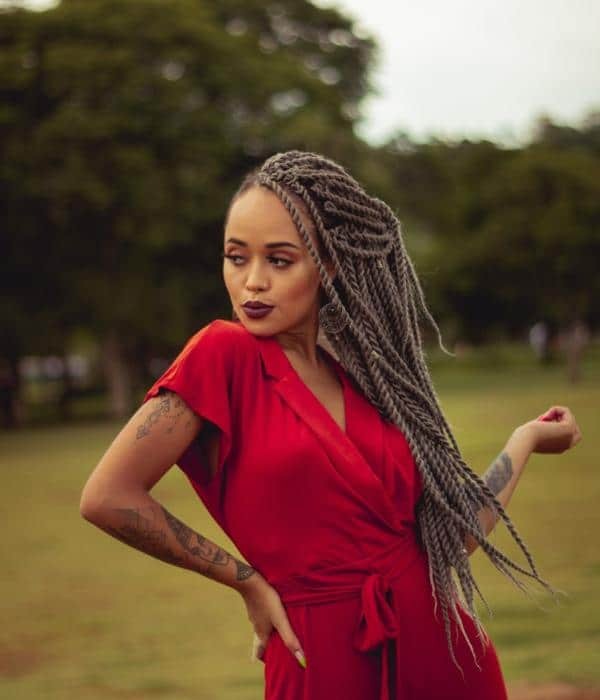 These styles will ensure that your hair will not be destroyed by summer and you’ll impress the ones around you with your new braid style. Braid it on! 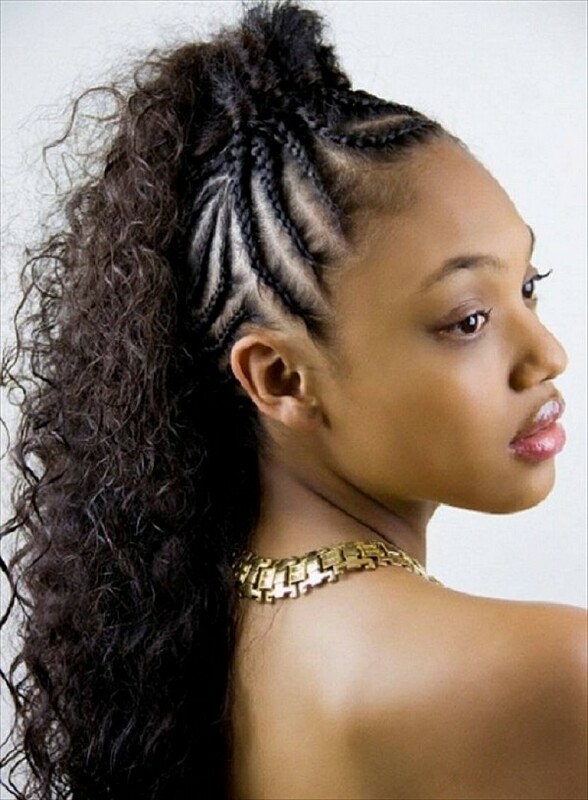 This is a lovely African American braided hairstyle. 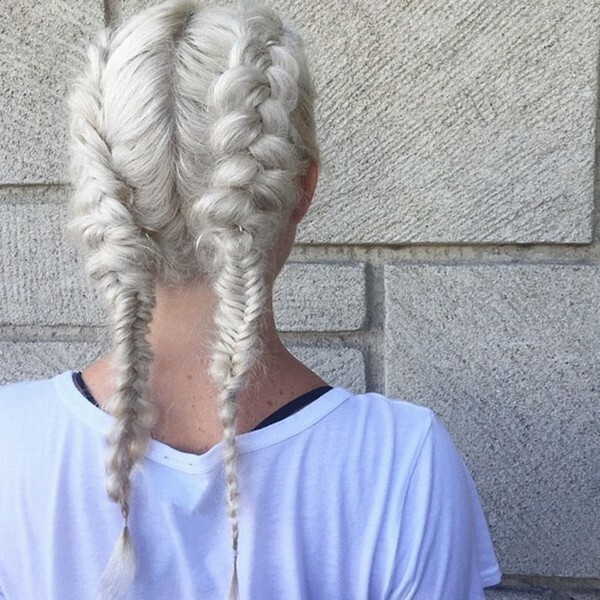 Braids look edgy on blonde hair. 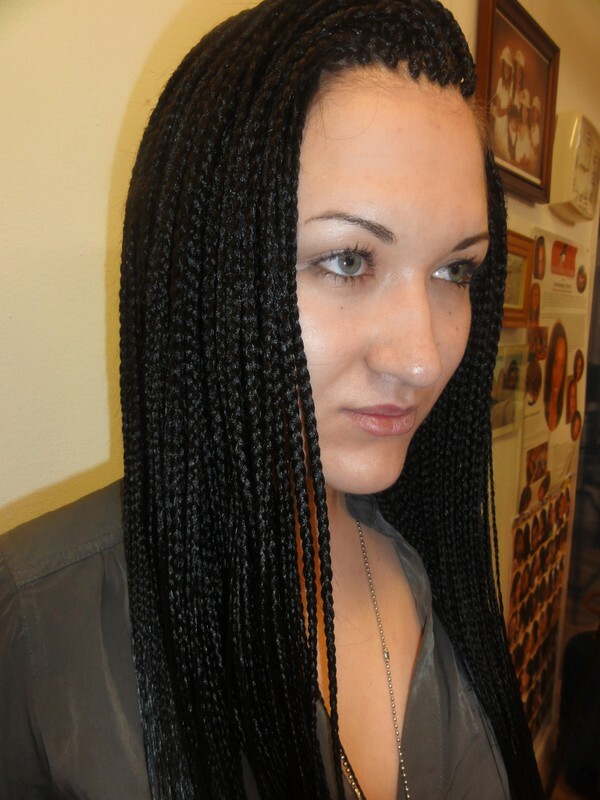 Cornrows are a famous type of African American braid. A half up, half down hairstyle along with a crown braid is perfect for the bride. It gives you the feeling that you can have it all! You don’t have to worry about flyaways. After all, it’s not yet the end of the world. 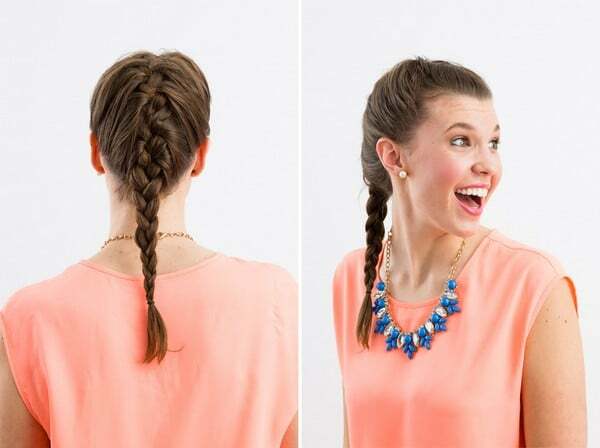 Just match it with a messy side braid to give you a totally chic look. If you love braided topknot then why not create a fishtail plait out of it. Just wrap it around and use bobby pins to secure it. 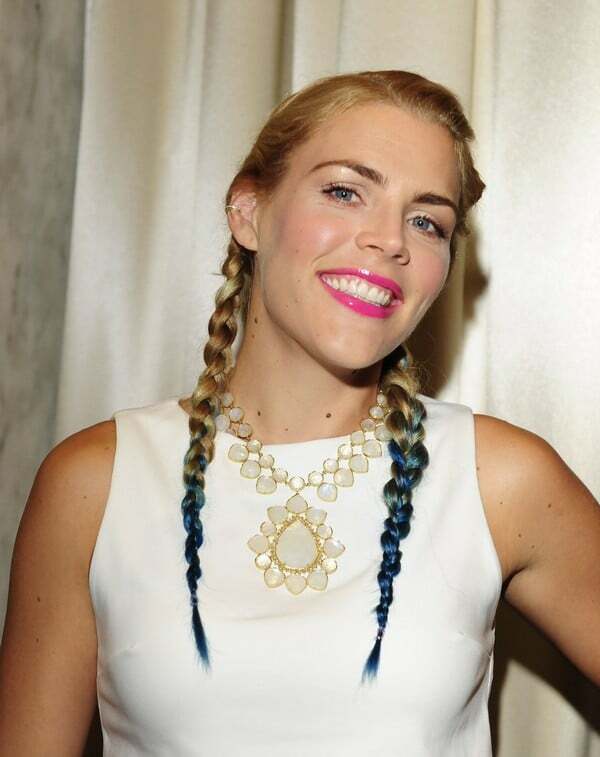 Would you like to jazz up your side-braid? Wearing a thick headband is the best way of adding interest to your style. 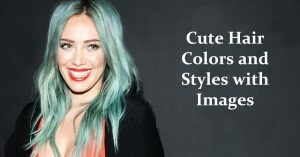 To create a huge impact, choose a color that contrasts your hair color. Sometimes it’s very difficult to create a high ponytail with shorter hair. But not with French braiding. It can gather all the flyaways to give you an amazing and unique look! To make it easier for you, just flip your head upside down while braiding. 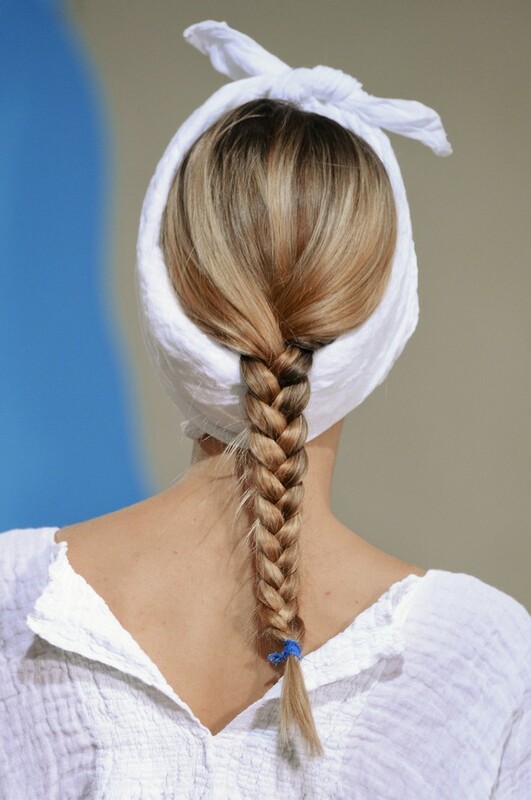 To make your braids tighter, you can wrap a bandana around your head. This is totally cute! This braided bun is great! It can keep all your hair away from your face. If your bangs are already growing and you want to keep them out of your face then you can create a restyled waterfall braid. This is the best styling option! 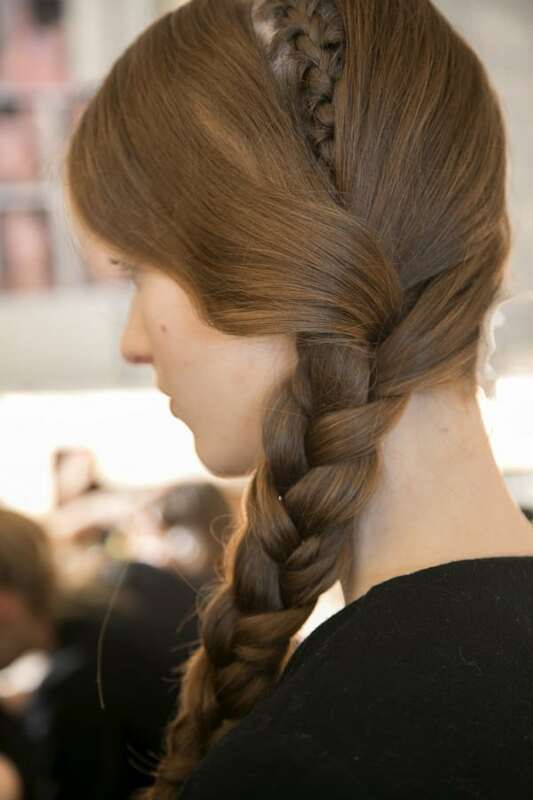 What we love about this braids are its a bit twisted and coiled-up. Having an incomplete look is sometimes better! If you are rushing to meet some friends then the best choice is a French braid. Blending a fishtail braid into your low bun can give you a quick pop of flair. 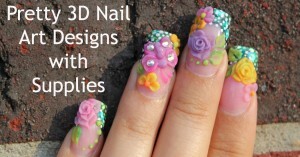 This is a great addition to your braiding skills! If you’re a little bored with your classic side braid then adding an accent braid into your main braid simply screams summer. 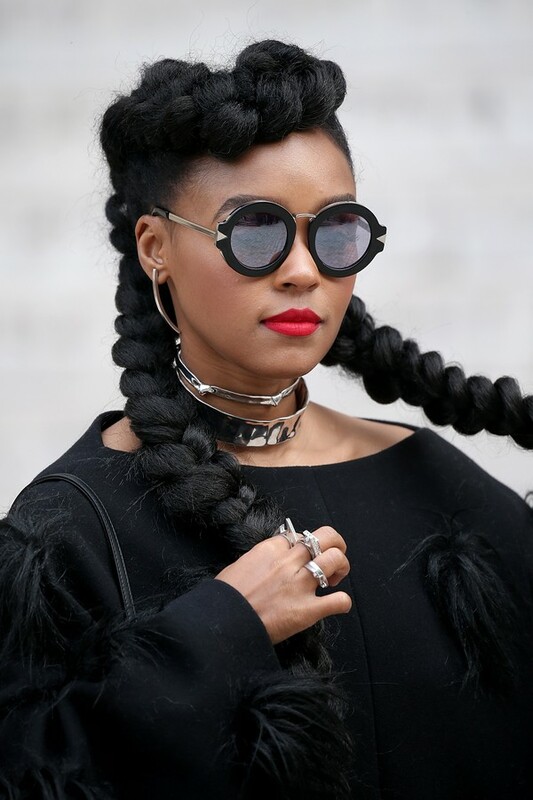 In this Twigs hairstyle, Janelle Monae takes advantage of her thicker braids. 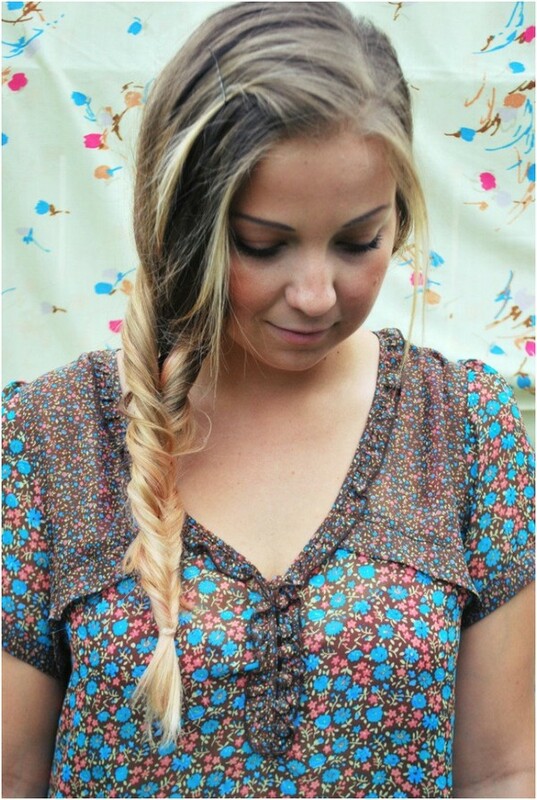 Adding some flowers into your fishtail braid gives you a romantic feel! 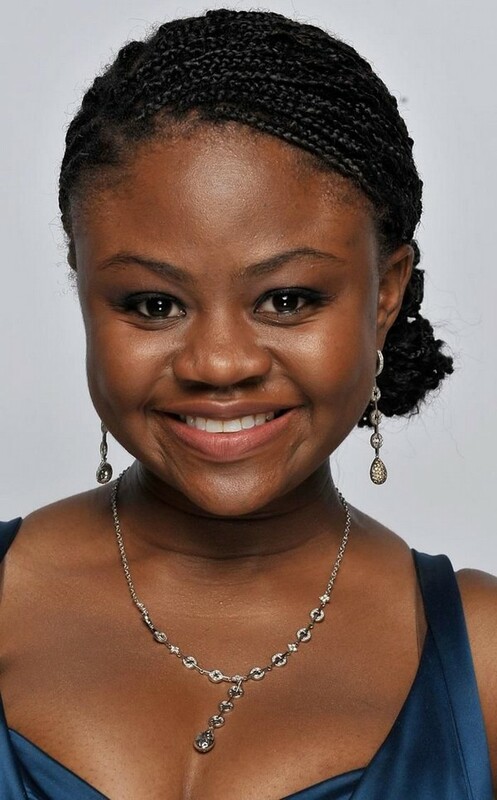 Actress Busy Phillips added some colors to her braids to make it unique. 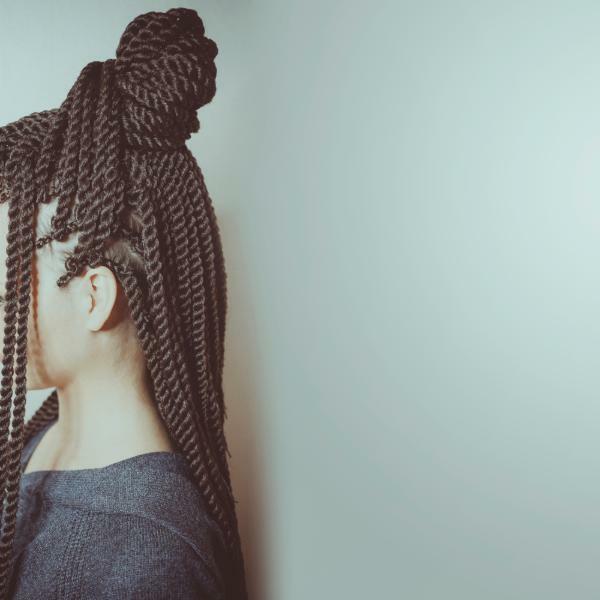 These boxer braids have a perfect center parting. 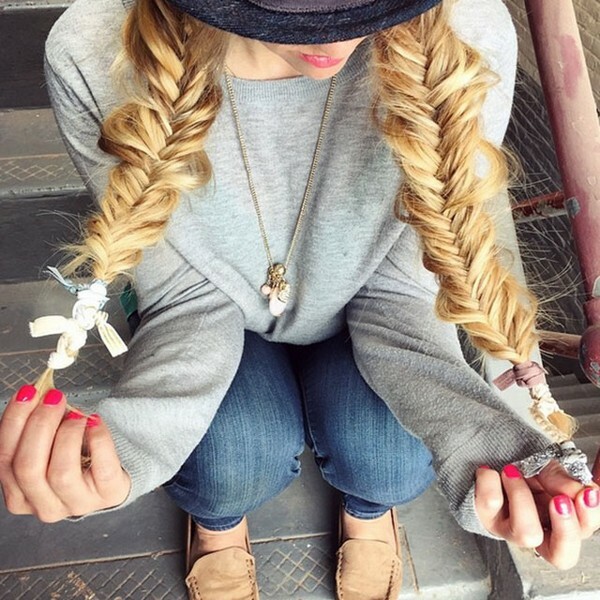 These fishtail pigtails are definitely this season’s wool toppers. 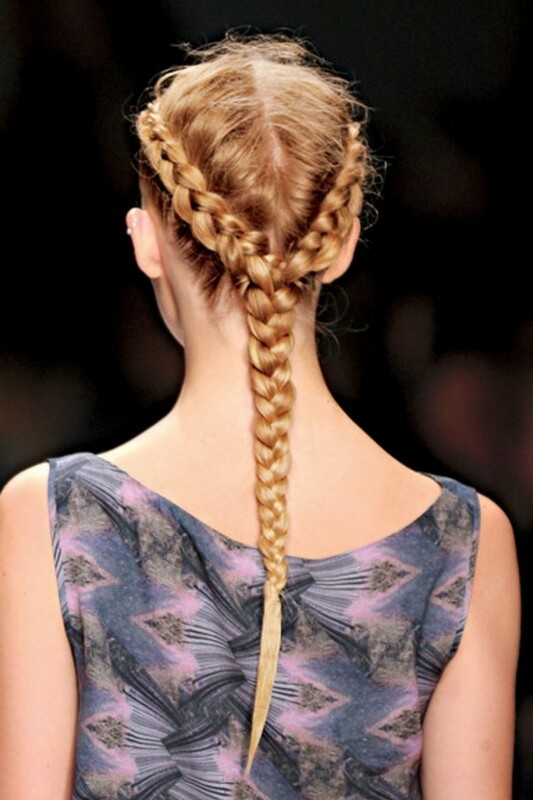 By braiding a section of your hair and crossing it on the other side, you can keep your hair away from your face. Be sure to use some pins to secure it. Best of all it can be done in just thirty seconds! 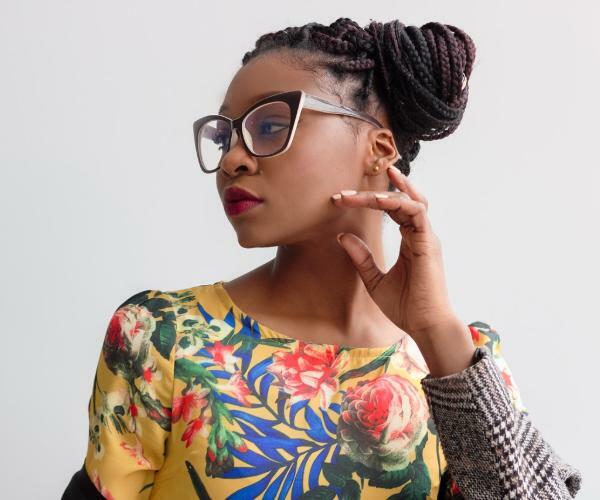 Gorgeous box braids hairstyles will never die! This is a perfect look for prom and weddings. So much easier to create too! 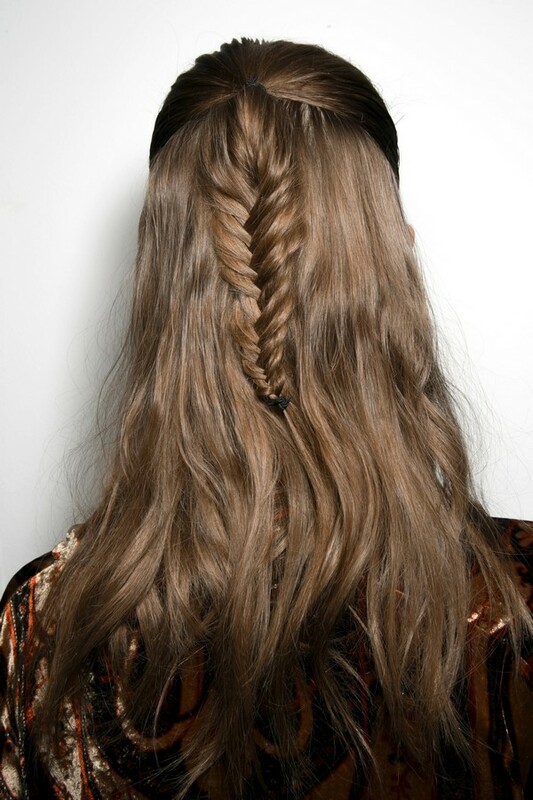 We love this huge braid since it creates a uniformed look. It is a bun with a kick. Add some Marley hair to keep it bigger or smaller. The best hairstyle for women with round or oval faces. 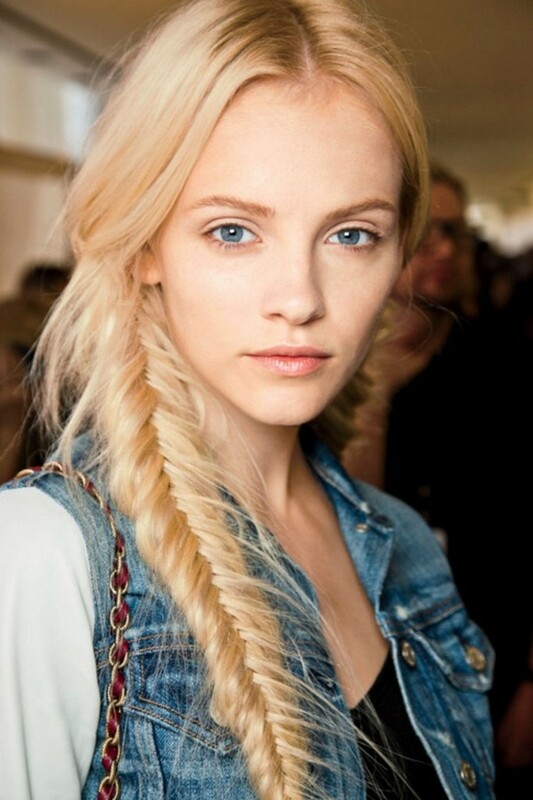 If you are rushing in the morning, the best way to style your long hair is a fishtail braid. 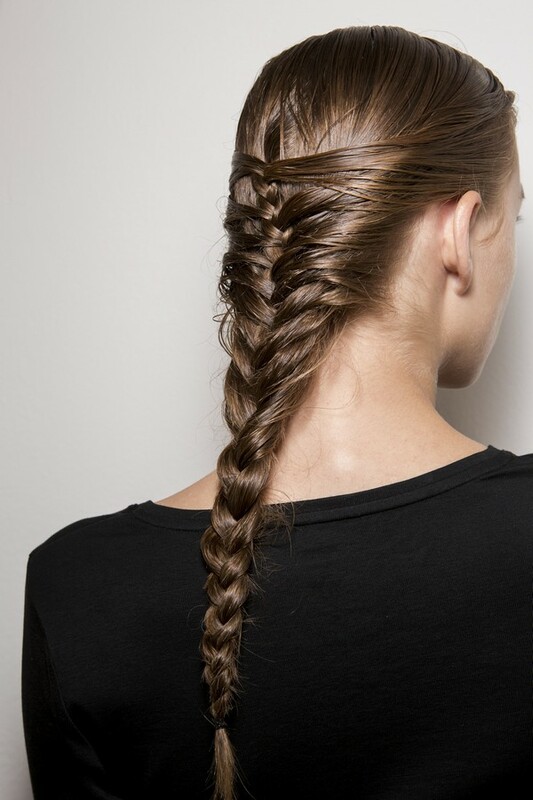 This long fishtail braid gives you an elegant look. Adding pink hair extensions makes it brighter. Why not? Take some risks, after all, it’s a weekend! 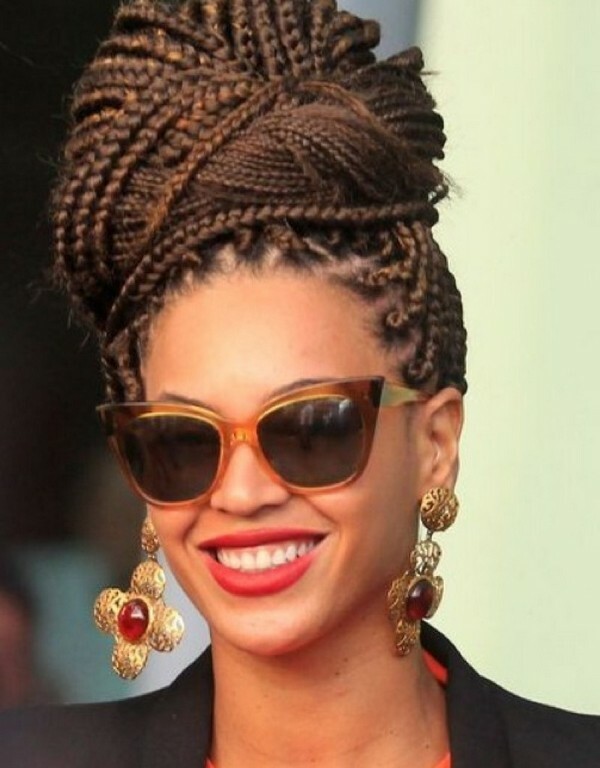 To achieve this style, begin braiding in the midway section. Some women are not good at braiding. This fishtail braid seems to be difficult but with a simple tutorial, you can learn it quickly. 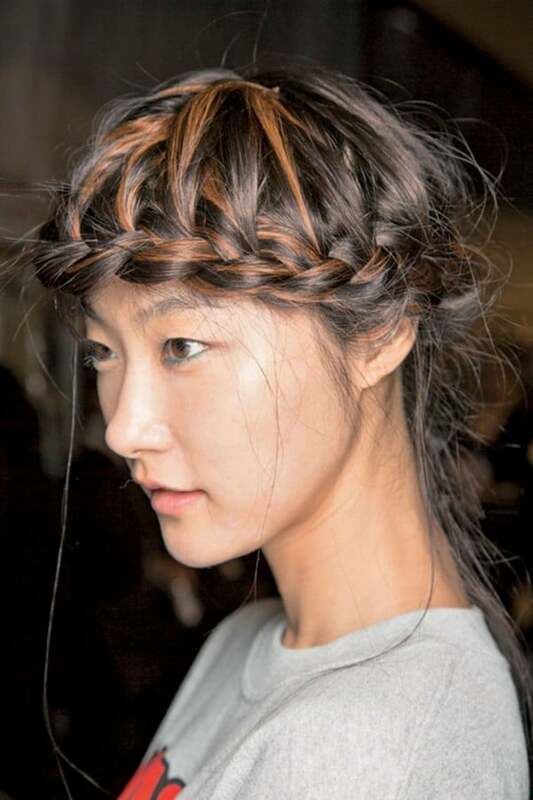 Create a loosely twisted braid and adorn it with metallic hair accessories to complete the look. This is a combination of toughness and awesomeness. Leaving some wisps can give you a whimsical look. 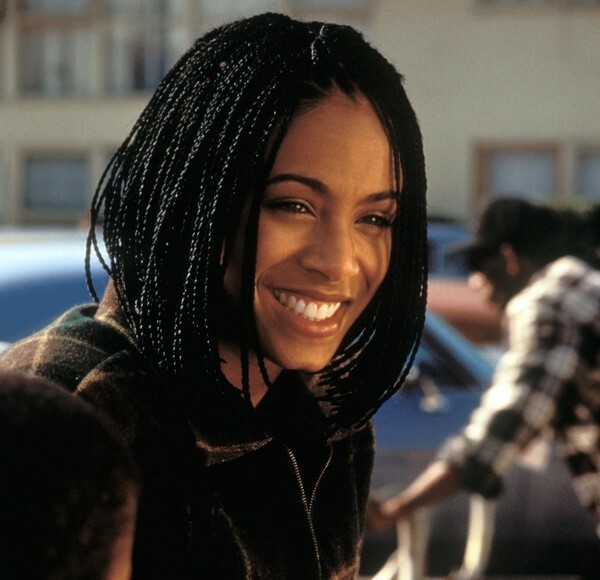 We love Jada Pinkett Smith’s own unique hairstyle. In creating braids, you don’t need to use all your hair. In fact, less is more. For your loose hair, make a little braid on the side. 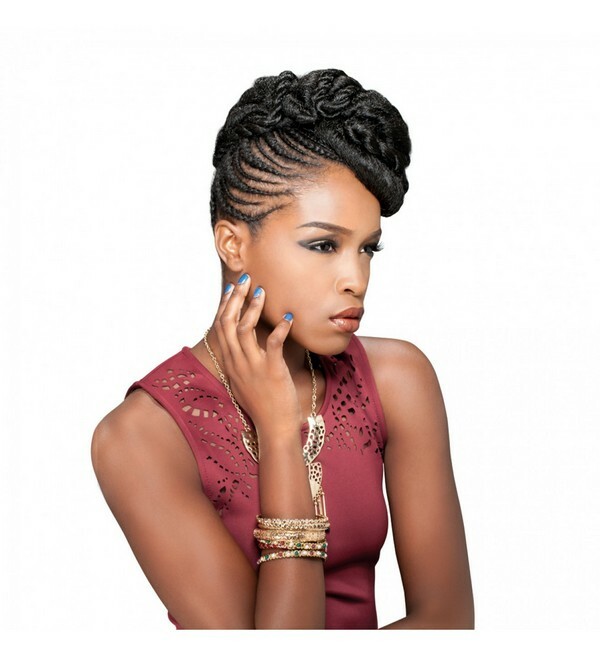 Get the best and most stylish faux braids in order to create a perfect glamorous look. It looks so complicated! But don’t worry after you become an expert in a four-strand braid, you’ll have the best hairstyle. This is the best hairstyle for summer! It’s playful! It’s beautiful! Best of all it’s summery! Braids can give you a stunning and romantic look. 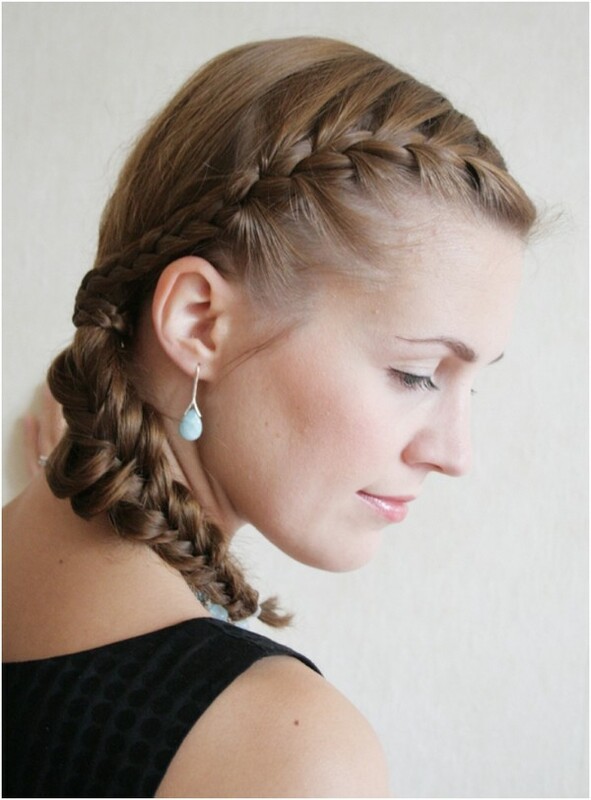 After mastering the main steps, you can quickly style your braids. 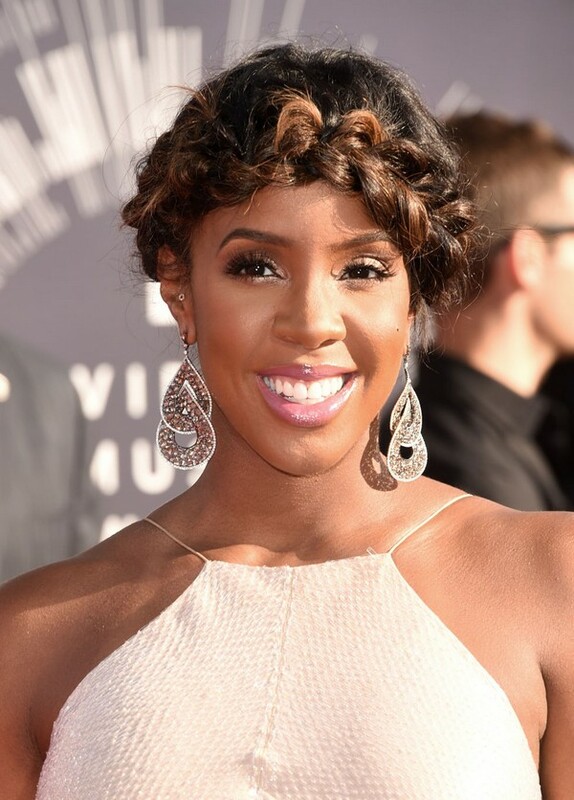 This is the best warm-weather hairstyle! 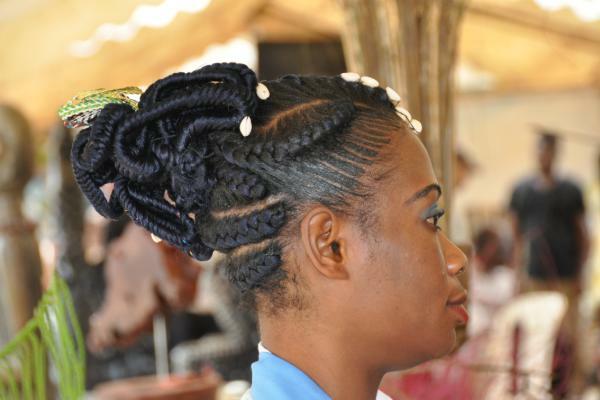 The crown is made of pre-made braids while the remaining hair is braided into two ponytails. Braids are a favorite of every woman. It is perfect for different lengths and textures of hair. 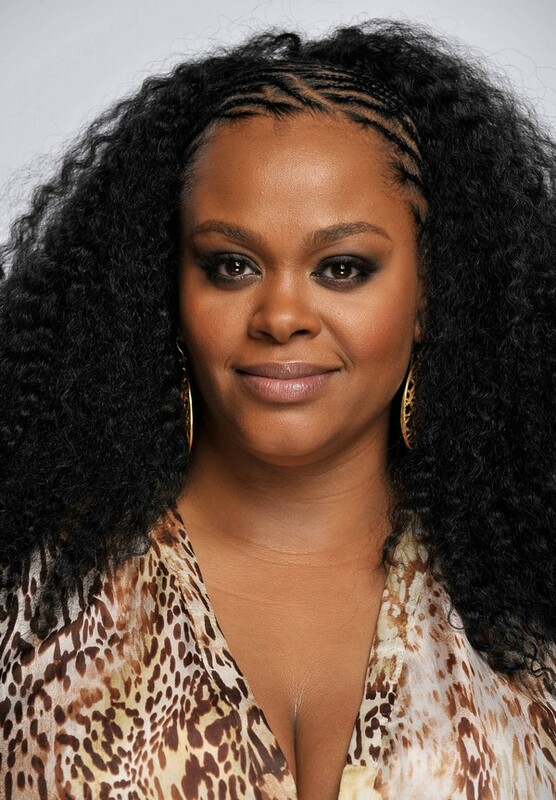 Jill Scott is so adorable in this boho-chic hairstyle. The crown has cornrows while the sides are a wavy afro. You might think that this hairstyle is hard but it’s not. Just part your hair in the middle and make French braids on each side. Join them at the nape of the neck. To create a fanciful look, pull out some wisps around the ear. 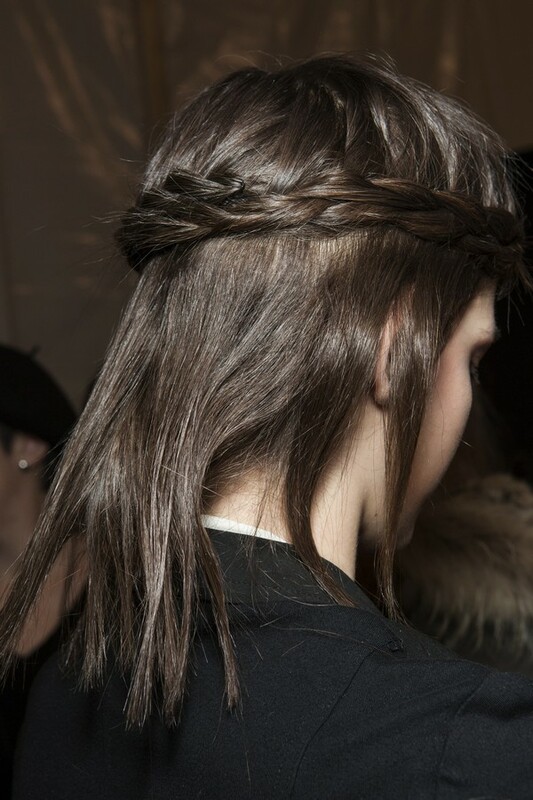 This is a chic way of styling your long hair. Start by parting your hair in the middle and create two long braided pigtails. Flip them up to create a crown and voila! 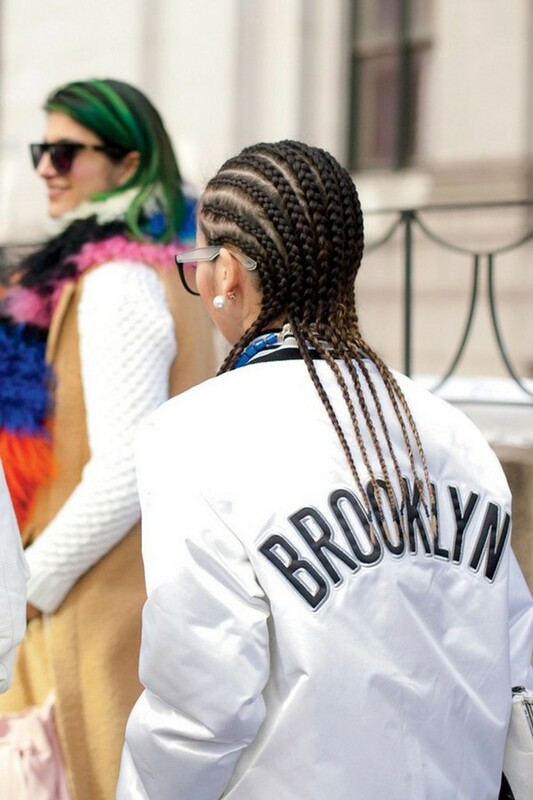 Crown braid pigtails look sporty and sophisticated on any girl. 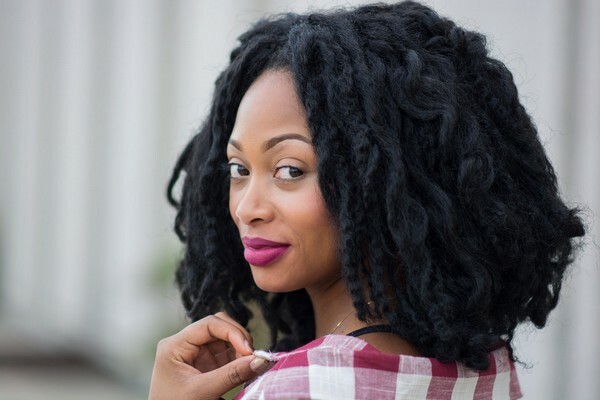 Using synthetic hair can give you a long and perfect hair. 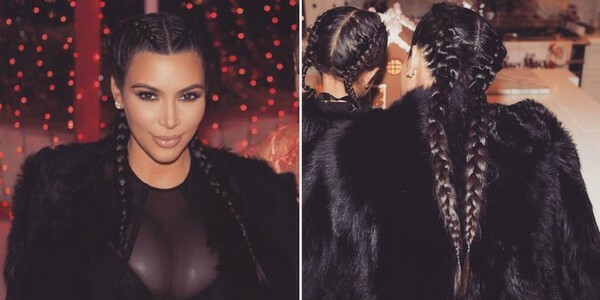 These braids can be worn in any occasions. It serves its purpose which is to keep your hair away from your face! It is a perfect hairstyle for your beach day! Want to have a versatile and natural look? If you have not created a French braid then it’s typically similar to creating a traditional braid. Begin at the top and add some strands along the way until you reach the end. Jennifer Lopez is rocking an awesome version of a French braid. No time for blow drying your hair? Boxer braids are the best solution. 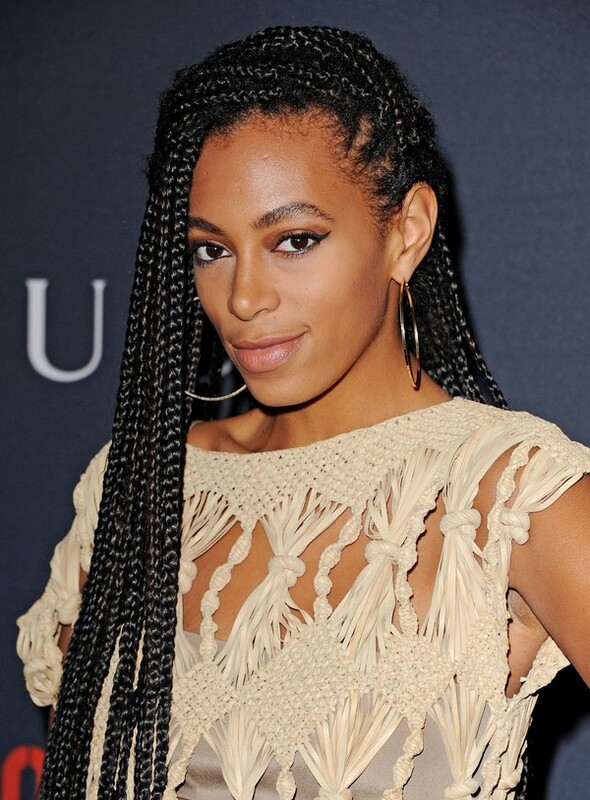 Braids are perfect for any woman, regardless of age, race, and color. While you’re taking a break, let your hair relax as well. 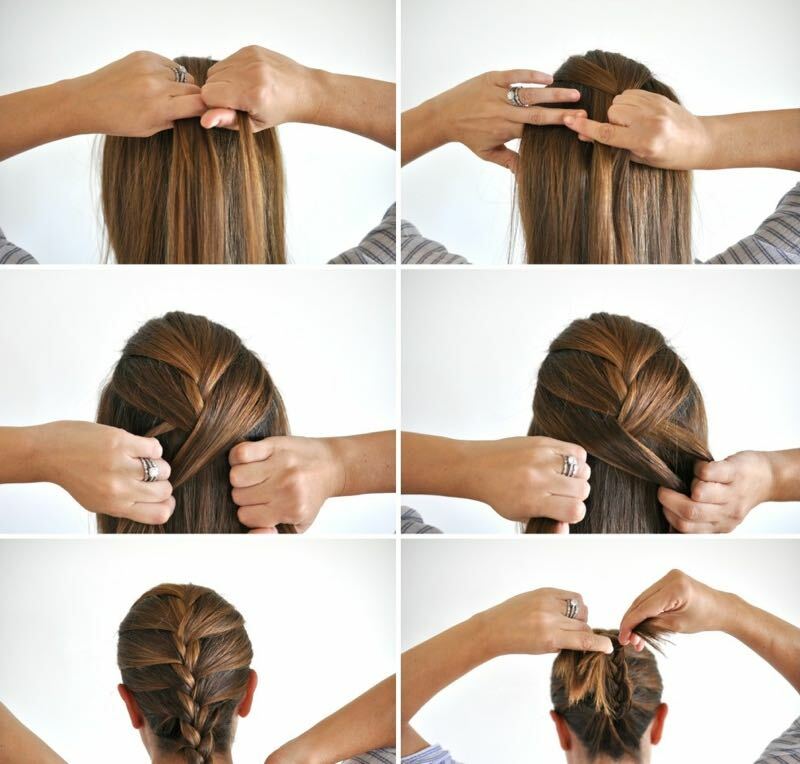 The best way to do this is by braiding your hair. Huge buns are very impressive. You can get creative by doing your own style. 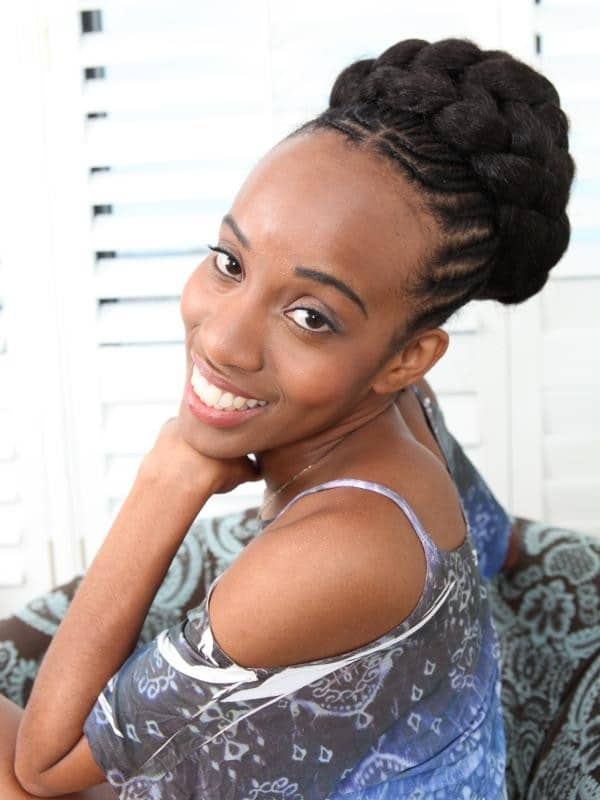 For instance, creating a reverse French braid on box braids and turning it into a high bun. This violet synthetic hair is very appealing and fanciful too. Why not add some twist to your style? Robbie’s French braid is very unique. She lets a few strands escape from the braid. The braid began at the side and made a curve towards the nape of the neck. 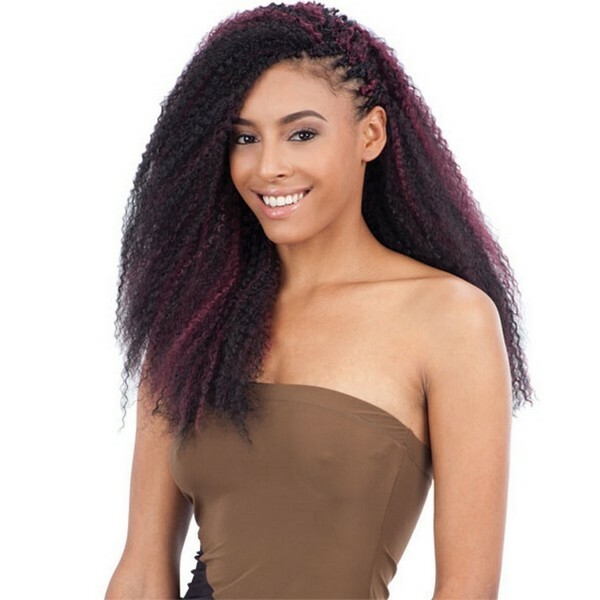 Synthetic hair can give you a new look! If you have short hair, styling is never a problem. Looking for a way to get rid of your bangs? You can easily do it by creating a French braid around your face and turning it into a simple bun. 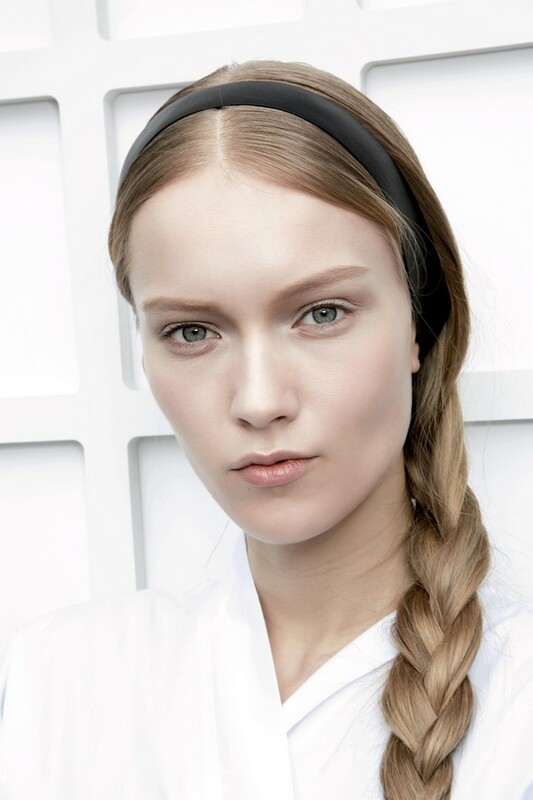 Loose side braid with waves and cobalt eyeliner, isn’t it elegant enough? Yep, you can rock this look anytime! 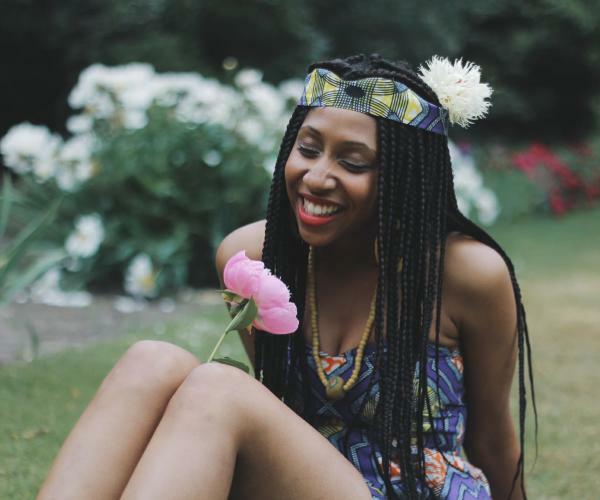 Box braids are a common hairstyle for black women. Hudgens embellished her crown braid with gold pins. The tousled waves complete her dreamy style. Side braids can be paired with any outfit. Want more elegance and style? 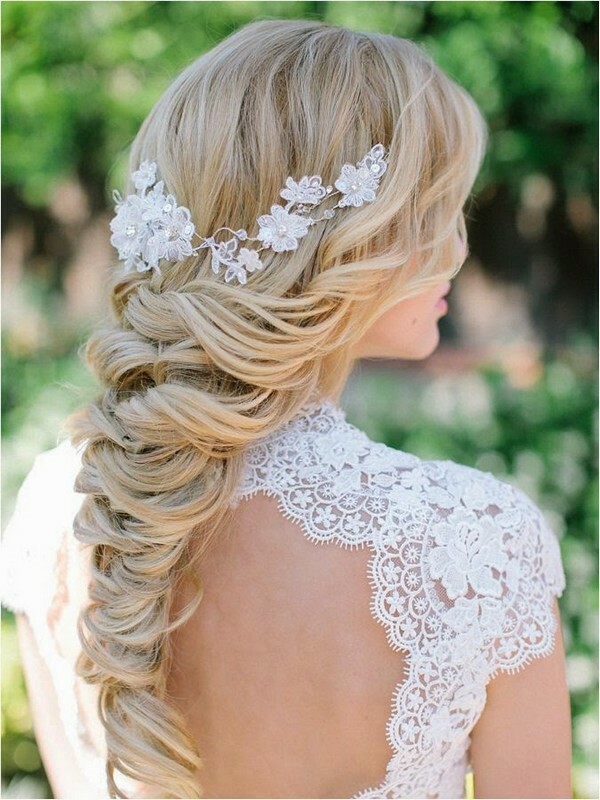 To create a perfect wedding hairstyle, add some braids. To do this, create two braids and pull them up over your head. Secure it with pins and you’re done! This synthetic hair can also be worn in pools and beaches. Amber Heard opted for a messy fishtail braid rather than a traditional braid. 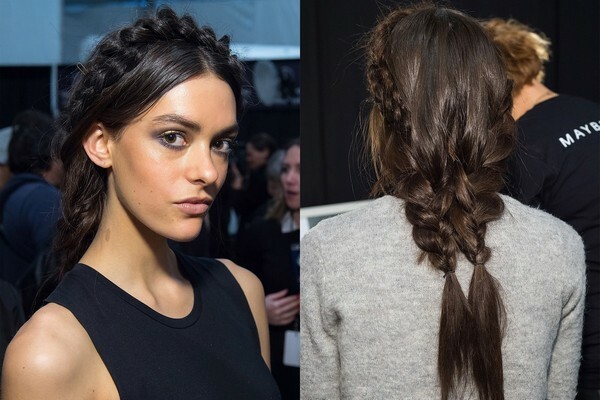 When it comes to braids, there are so many options! 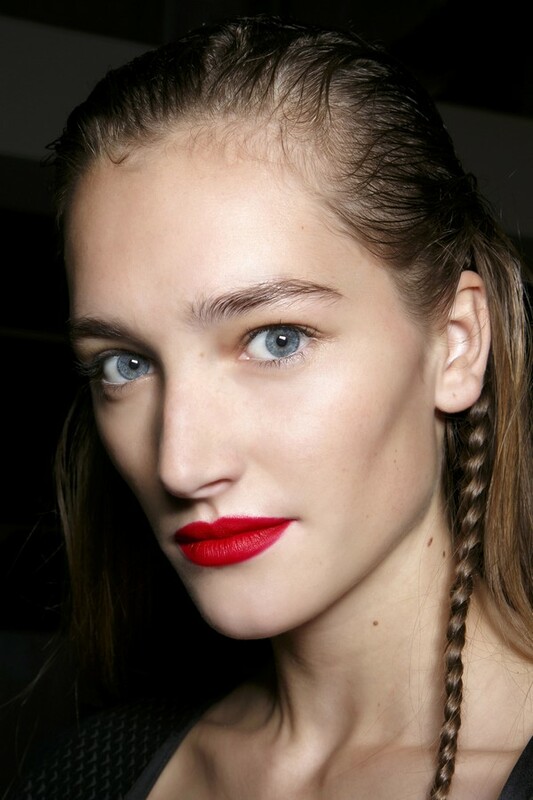 The red eyeshadow might be too much but the thin braid on the side is just perfect. 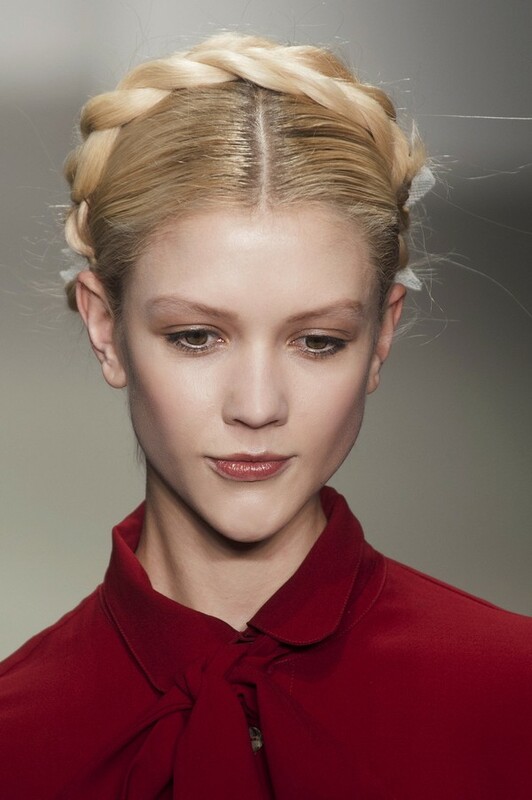 To create a charming Updo, you must create French pigtails first. Braids and curls are a perfect match. What an awesome updo! Looks so heavy! 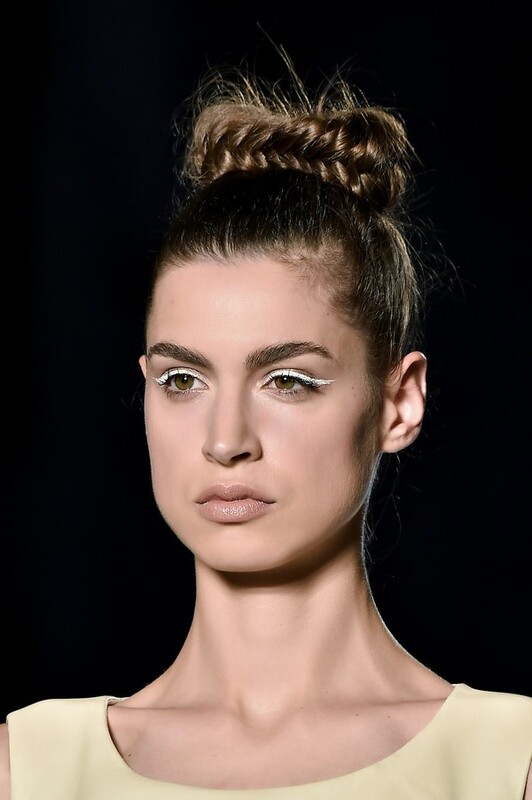 Women can always wear unique and fashionable updos that can make them stand out from the crowd. Can braided updos make you look beautiful? Aside from making you look stunning, it can likewise drive men crazy. 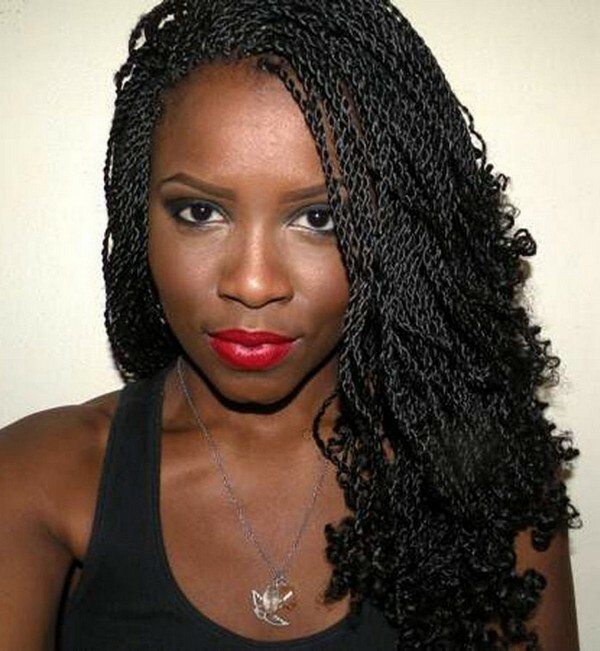 Box braid styles require the use of hair extensions. It can last longer, however, it takes a great deal of time to finish. 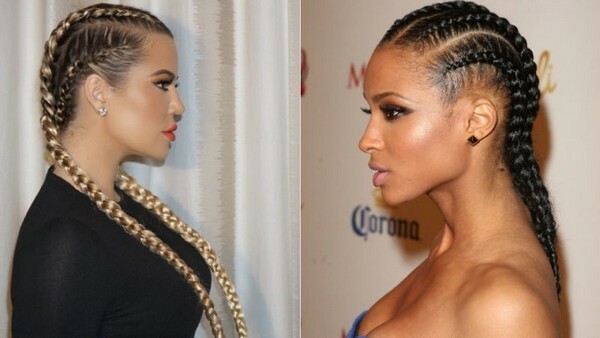 Cornrows hairstyles are something worth trying! Can’t decide which type of braids to use? Why not try mixing things up? 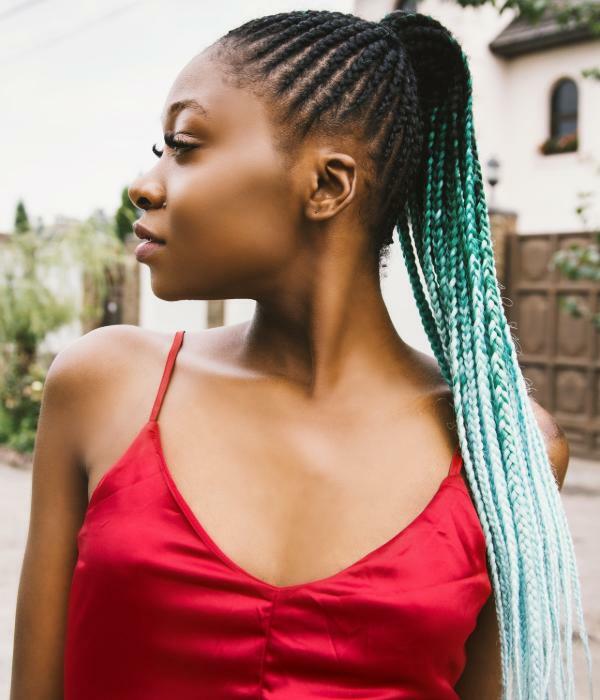 Box braids can be thin or thick. It is a protective and versatile style that can change your overall look. Opting for a unique hairstyle can make you look special. Wanna try an Ariel hairstyle? 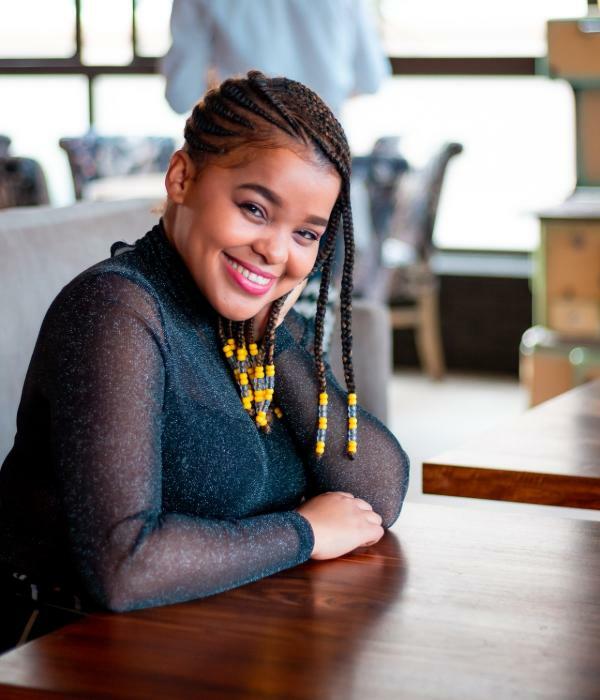 If you’re not yet ready to shave your head then why not try this Rasheeda hairstyle? Kravitz is rocking her waist-length center-parted braids with style. 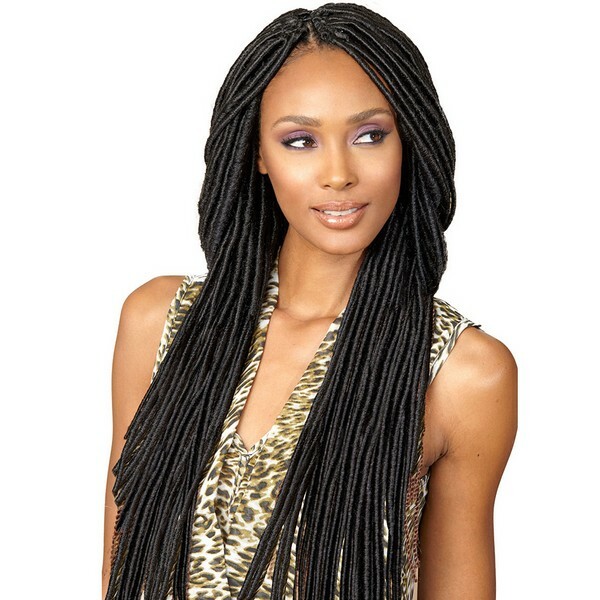 A lot of women’s hair is perfect for box braids. 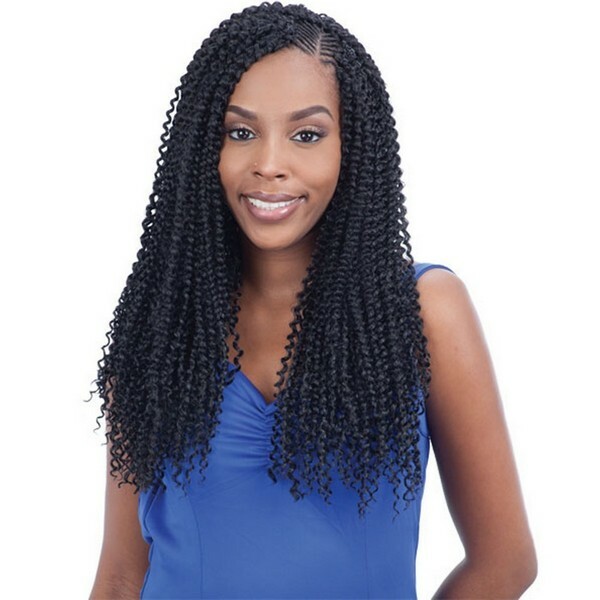 Crochet braids are not new, in fact, this style was first seen during the 80s. 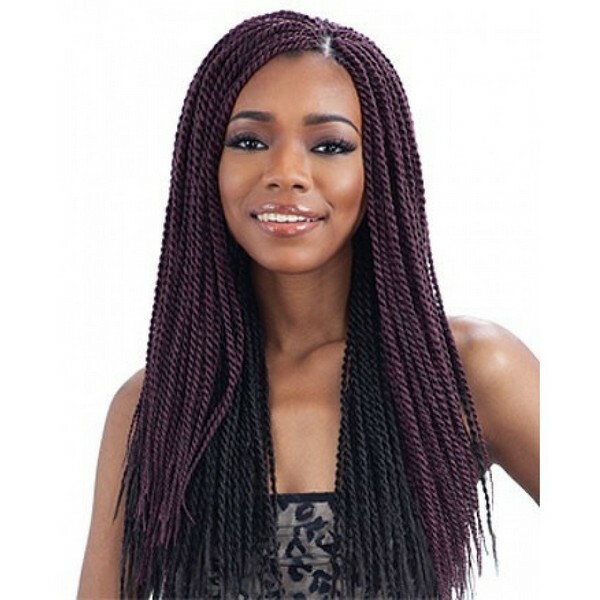 With this small box black braids, you can be assured of a beautiful hairstyle. 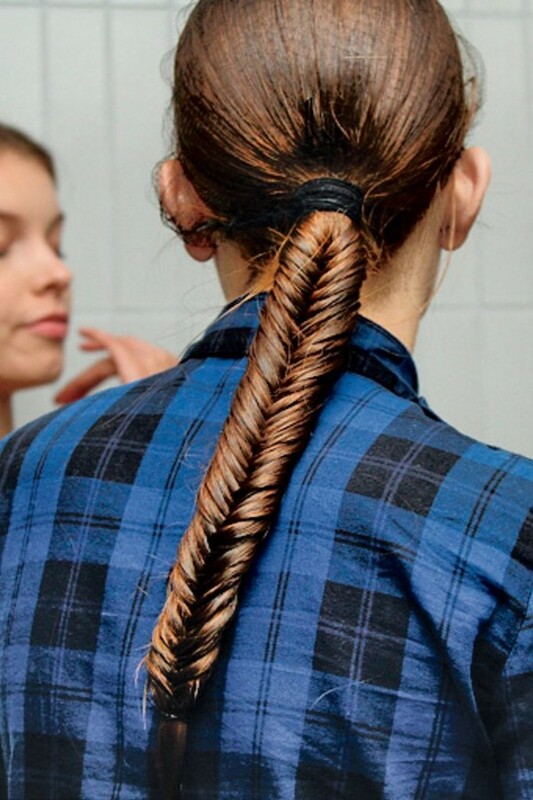 A fishtail pony might look easy and simple yet it’s impressive! This complex hairstyle requires the assistance of another person. 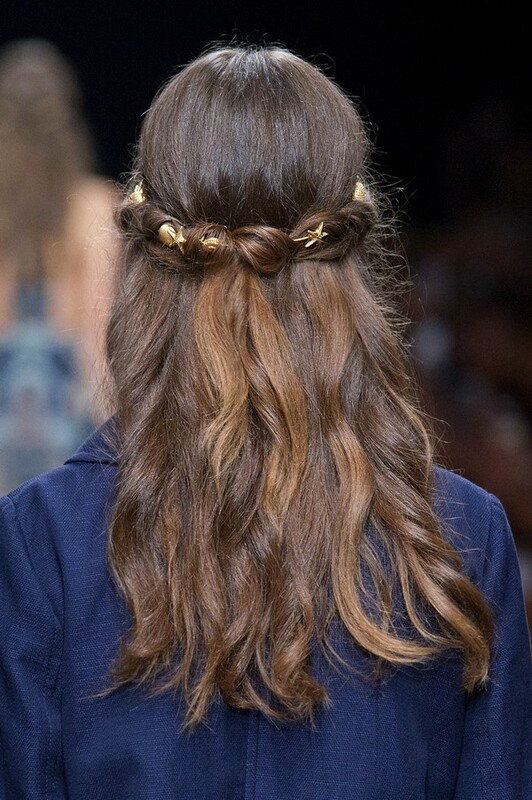 Isn’t it similar to a waterfall braid? Want to add some edge to your look? 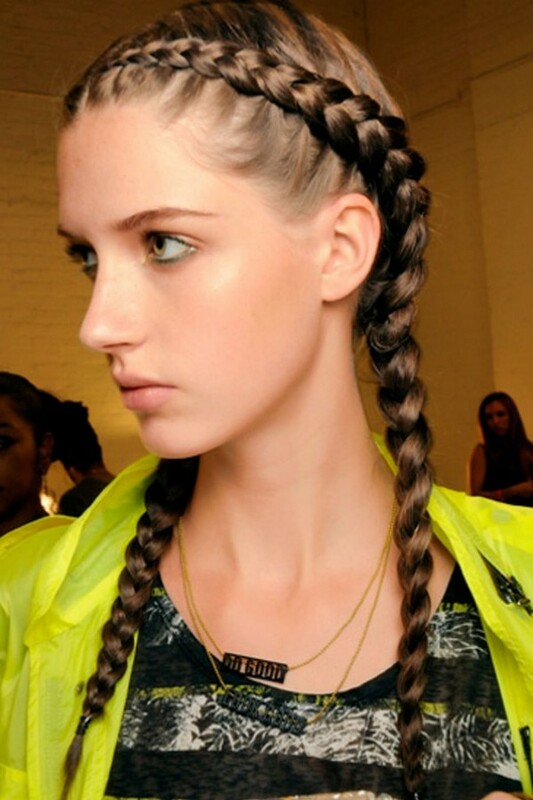 Why not slick your hair to one side and create braids? This is the best summer style. Additionally, it can keep your hair off your face. A mohawk braid is an edgy hairstyle. 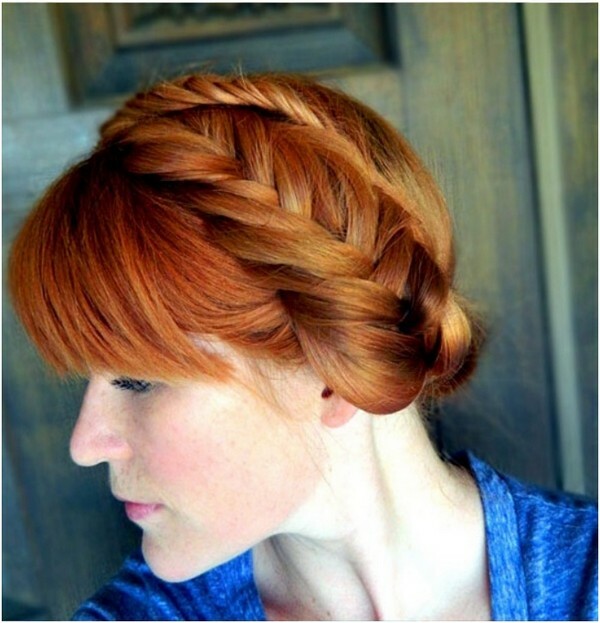 Combining two braids into one creates a smooth hairstyle. 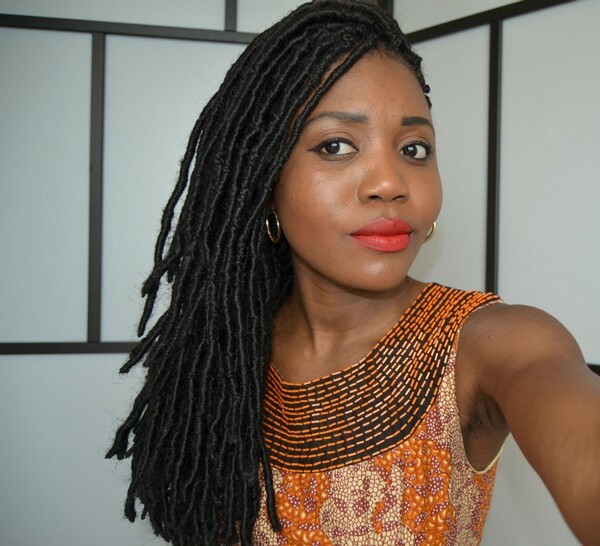 Red lips, box braids, and black crop top are a perfect match. Wanna try colorfully braided bangs? This effortless hairstyle is ideal if you have a busy day ahead of you. 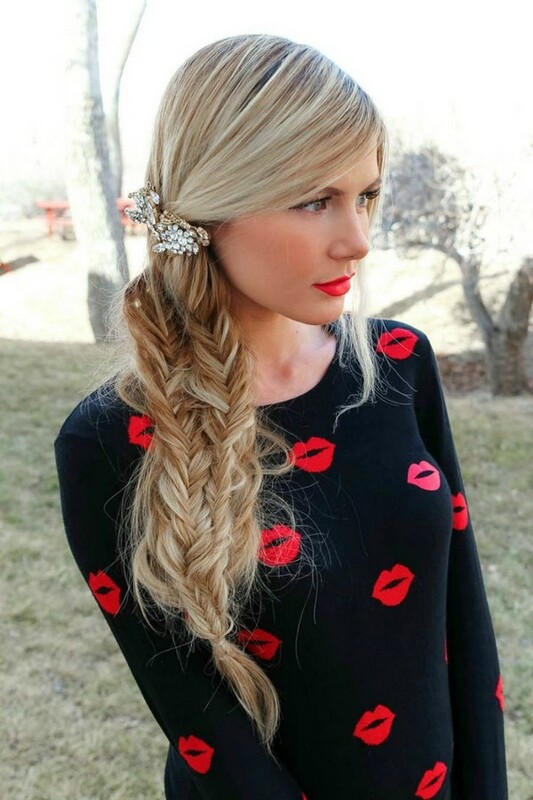 A tiny accent braid on the side can always look fabulous. You can create any style you want as long as you are comfortable with it. 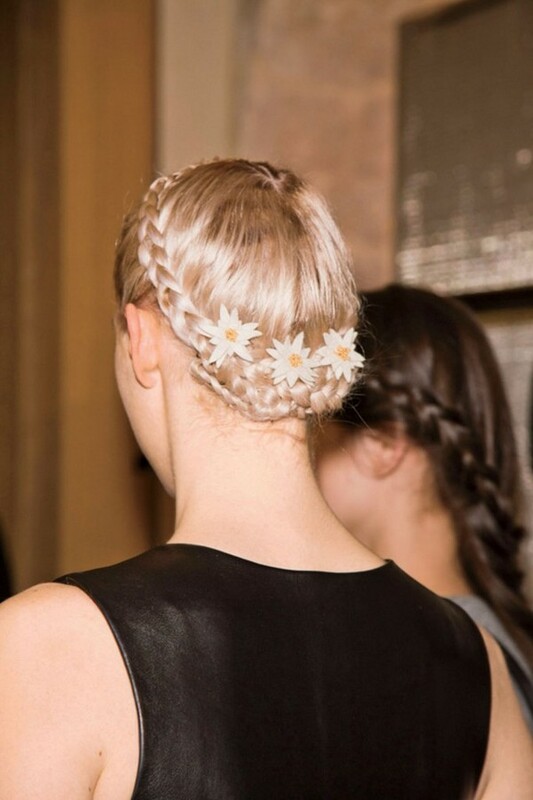 Add some flowers to your braids to create a softer look. With thick hair, you can create awesome braids. 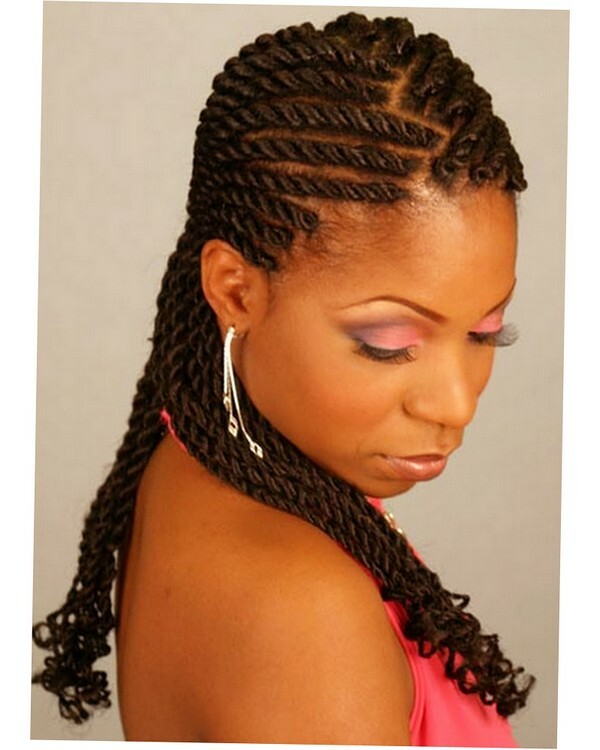 As shown above, there are various types of braided hairstyles. Braided and twisted hairstyles are not new in the fashion world. Since ancient times, it has been used as a way of dressing the hair. Not certain which one suits you? 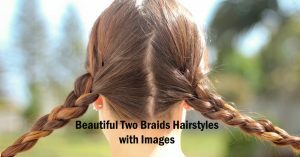 We gathered below a few of the popular types to help you decide which braided style is the right one for you. 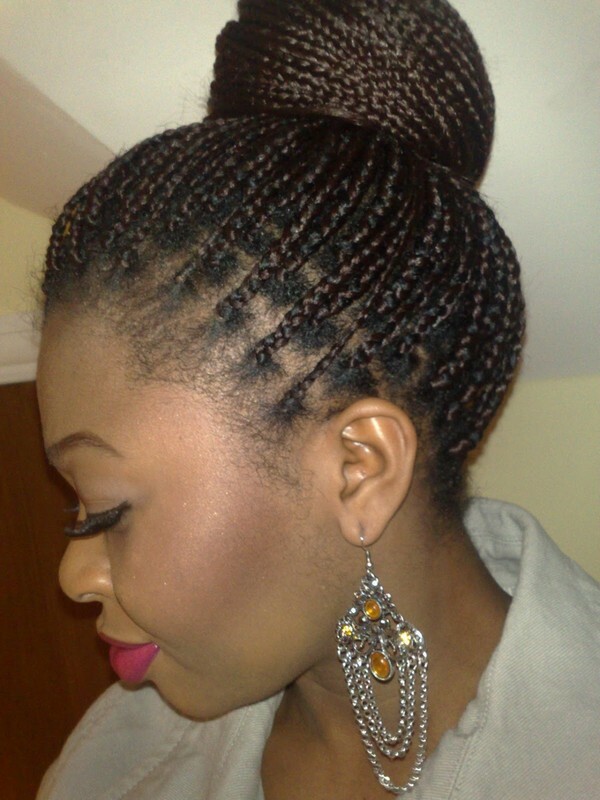 If you are not familiar with feed-in braids, this type of braid start by using your natural locks to make your braid. 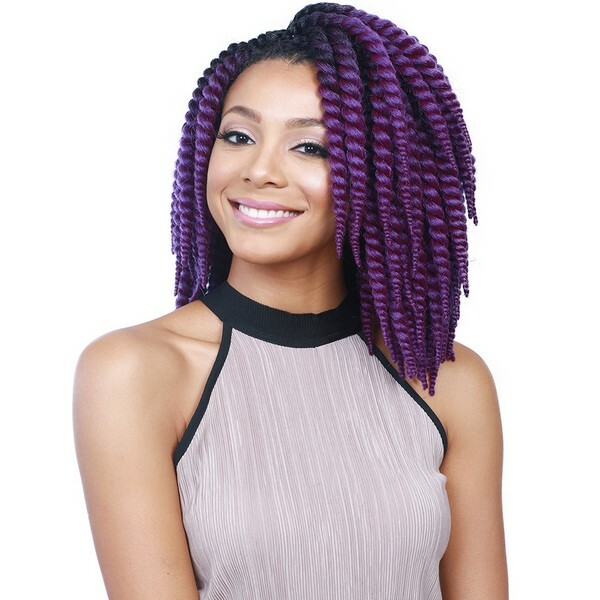 Later on, the stylist adds artificial hair to produce stunning twists that appear as natural braid style. Once the braid is complete, the rest of your locks is arranged in a bun. 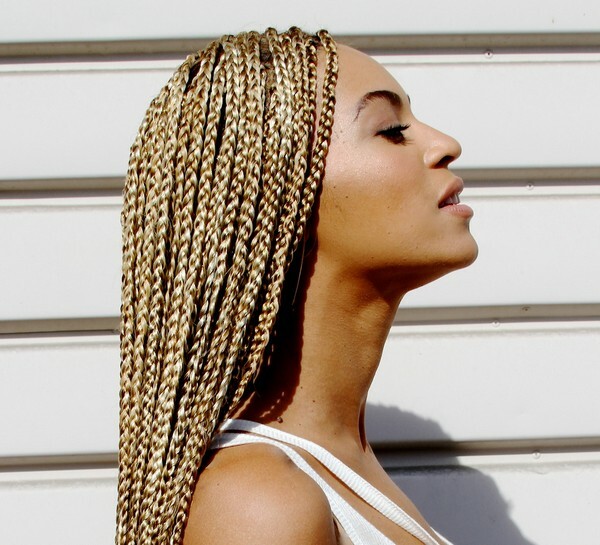 Inspired by Beyonce, the Lemonade braided hairstyle is gorgeous. With a Lemonade braid, one part of the hair is pulled on the side. Also called as “Braids with beads”, the Fulani braid style originated from the African tribal group referred to as “Fula”. 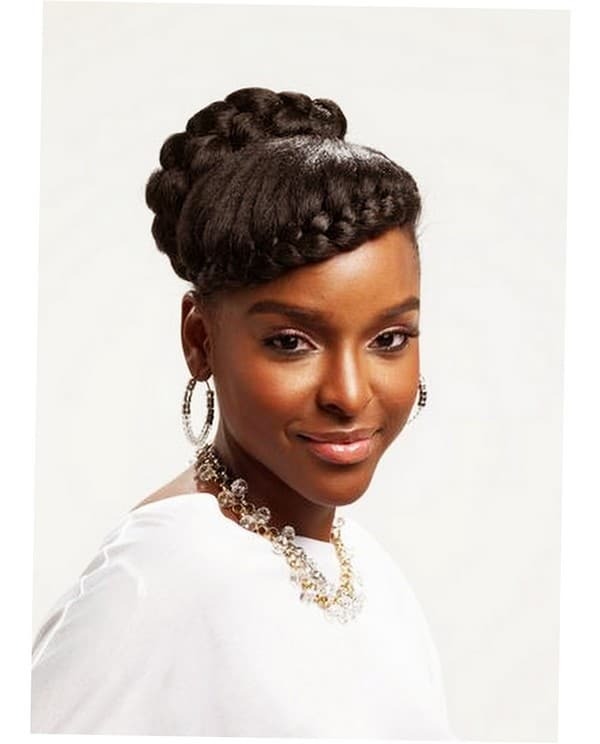 This type of style ordinarily has petite and medium intricate braids close to your head. 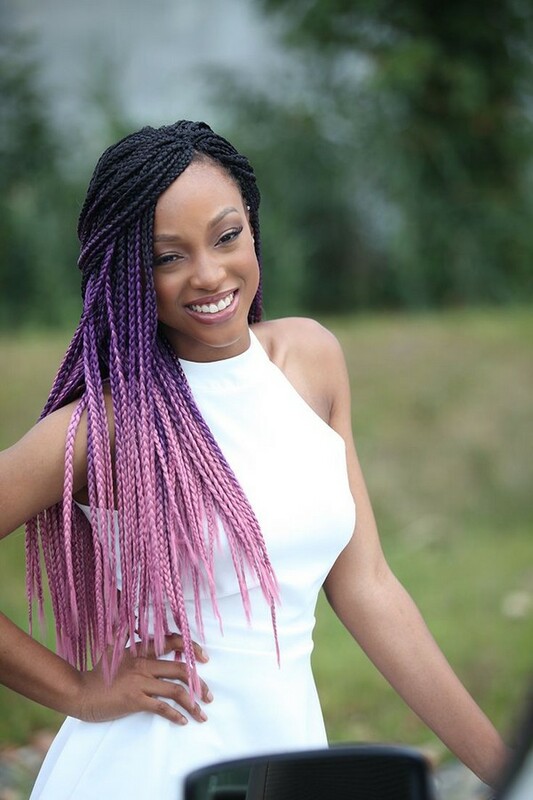 Meanwhile, if you have long hair you can choose the big box braid style. This kind of braid is chubby and long. You can add stylish accessories to glam up your style. 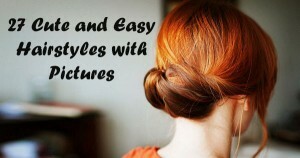 Undecided if you want your hair in a bun or in a loose style? 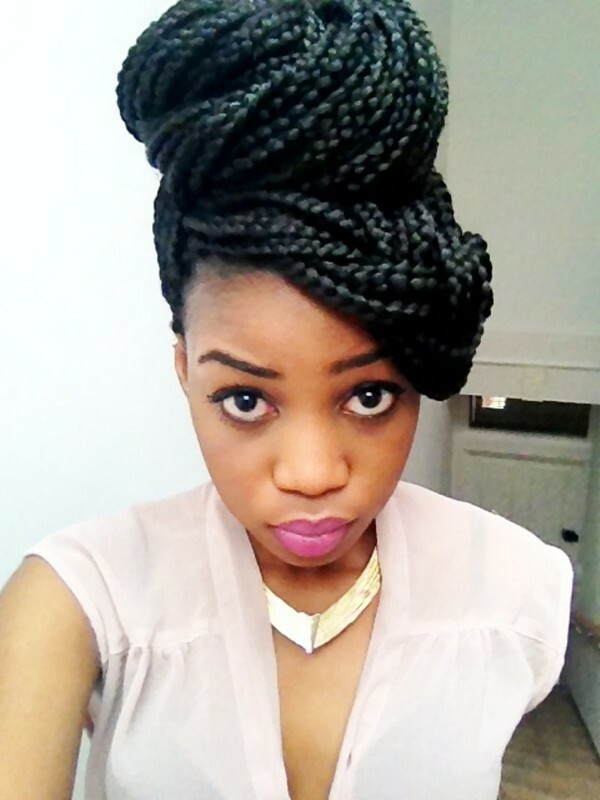 Then you must try the half-up, half-down box braid style. 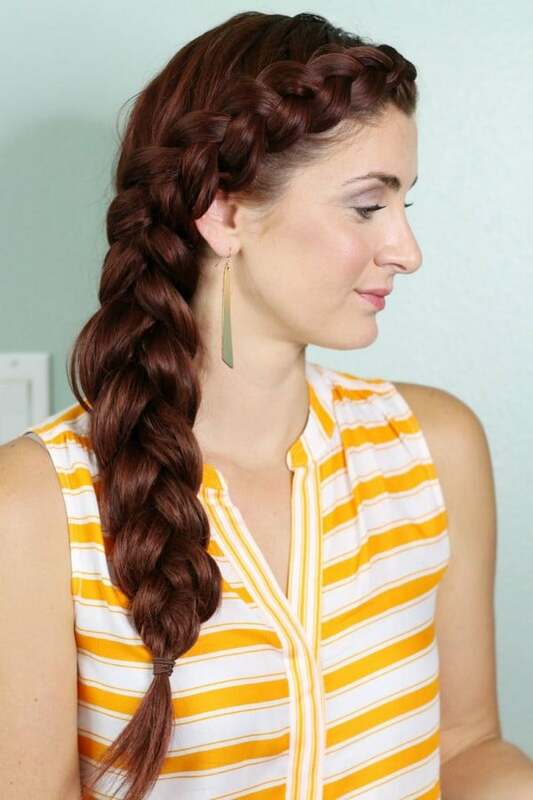 To do this hairstyle, pull half of your braid into a bun and leave the rest down in funky braids. 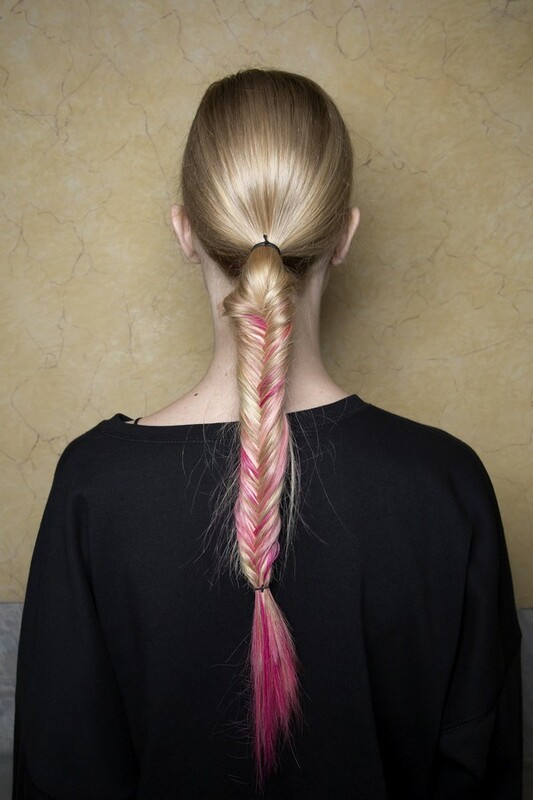 Adding color to your hair certainly prepares you for the Spring and summer months. As seen here, the hair is primarily black then changes color midway till the end. 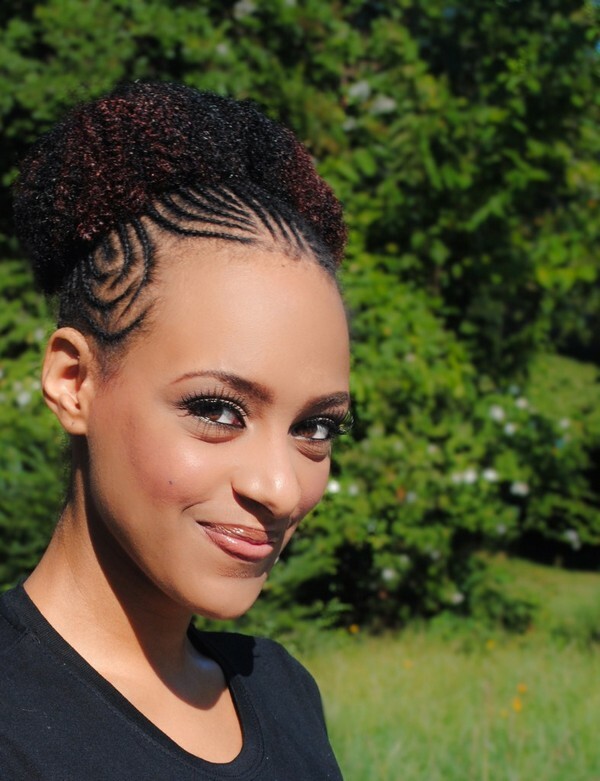 Finally, you can style your cornrow by combining medium and thick braids. Add in some braid cuffs and you’ll definitely have a natural looking lovely hair! Braids are not only for grown women. It can also look great on kids and teens. Most braids styles are simple and easy to do. You just need to see which kind fits your individual style.